Do you know who all these characters are? Answers below. Some of the top voice actresses of recent years in the Disney princess universe are shown with their characters in the picture above. 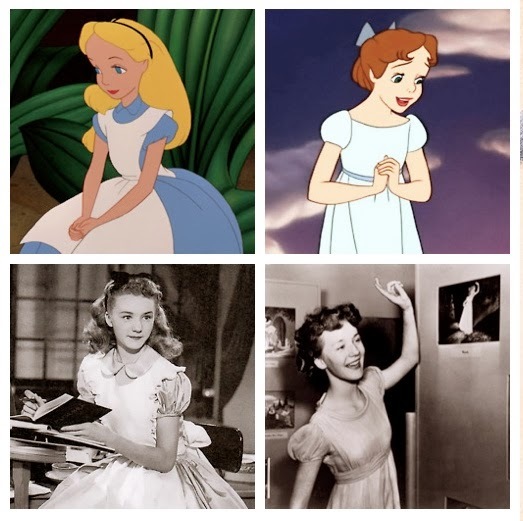 Several of these actresses voiced more than one Disney character, and/or the same character multiple times. Once you are part of the Mouse House, you tend to stick around! For instance, Natalie Gregory voiced Alice in "Alice in Wonderland," a 1985 tv movie, as well as Jenny in "Oliver and Company." She left acting for twenty years, and recently returned to it. 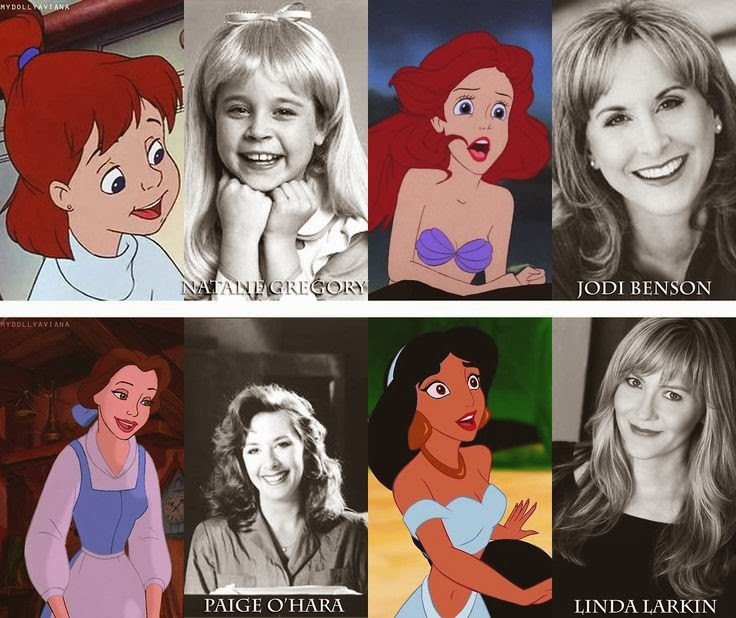 Jodi Benson voiced Ariel in "The Little Mermaid" and the follow-up television series and The Little Mermaid II: Return to the Sea," but also voiced/played numerous other Disney characters, such as Sam in "Enchanted" and Helen of Troy in "Hercules." Paige O'Hara was, of course, Belle in the original "Beauty and the Beast." She also played Angela in "Enchanted" and Princess Aleta/Queen Aleta in "The Legend of Prince Valiant." Linda Larkin voiced Princess Jasmine in "Aladdin" and several sequels, along with an appearance as her in the Kevin Sorbo "Hercules" television series. She has made so many appearances as the voice of Jasmine, in fact, that it is hard to keep track of them all, at least a dozen in major productions. 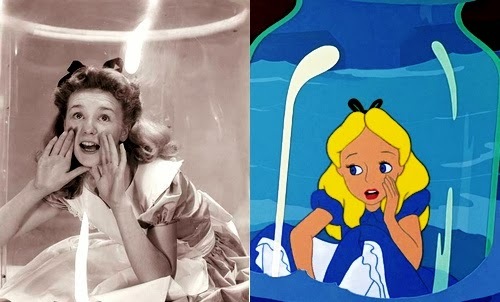 Kathryn Beaumont, of course, is famous for voicing both Alice in the original 1951 "Alice in Wonderland" and Wendy in the original 1953 "Peter Pan," both top Disney classics. After a long period away from film, she recently returned to voice Wendy again in the "Kingdom of Hearts" video game along with some other characters in Disney productions. How would you like to have that kind of resume! All of these ladies did terrific jobs and deserve a lot of credit!